Schools Connect is a two year project starting in 2019 and finishing in July 2020 combining 5 strands of activity which feed each other to bring about a stronger more effective network. We will work closely with a core group of project schools so that these will become HRAEN Champion schools by the end of the project, and go on to lead a drive to engage more schools in the Champion network. HREAN are looking to appoint a project manager to lead the project over the next two years. Attached is the project manager brief project overview. Evaluation of the project is key to its success and as such we have identified a role for evaluation which we ask is independent from the main project manager duties. We are very open as to how this is delivered but please make the distinction clear in your application. Deadline for applications in 5pm Friday 12th April with interviews taking place on Tuesday 23rd March. Connectingwithculture.com has been created by Artswork as a simple way for schools and children & young people’s organisations to connect with arts and culture. Artswork’s mission is to place arts and culture at the heart of work with, for and by children and young people. Connectingwithculture.com is for anyone who works with children & young people. Whether that be as a teacher, youth worker, youth justice team, lecturer, youth or education service this is the place for you to search, connect with and review arts & cultural organisations across the South East. Connectingwithculture.com is free to use and there is no need to sign up to use the service. The benefits of creating an account are you will be able to leave reviews and receive special offers and news about Arts and Culture events in the South East. Last week Education Secretary Damian Hinds, gave a keynote speech at the Rethinking Resilience conference organised by the Church of England Foundation for Educational Leadership. Here is a short summary of what he said, links to more information. There are ways to engage on social media if you would like to. Mr Hinds said that all children must have access to a wide range of activities to help them build the character and resilience they need to succeed. Character and resilience can be as important as GCSEs in helping young people succeed in life and evidence shows that skills like the ability to deal with setbacks and focus on long term goals can even improve academic outcomes. He also acknowledged that children from disadvantaged backgrounds are less likely to be able to access character building activities than their more affluent peers, and that this needs to change. He announced 5 foundations for building character - sport, creativity, performing, volunteering & membership, and the world of work - and said that all children should be able to access at least one activity from each of these foundations, so that every child has the opportunity to try something they enjoy and want to stick at. Each of the five foundations combine elements that will stretch and challenge and will help young people think, develop and grow and which will enhance their self-esteem and confidence. There are thousands of providers offering these activities both inside and out of schools across the country but a lack of information of what is available must not be a barrier to young people taking up these opportunities. Mr Hinds has pledged to improve the sharing of information between organisations and schools, so pupils, parents and teachers can be signposted to character building activities near them. He made clear that this will not mean additional work for teachers and schools and that he wants to see a joined up effort from the entire community: the five foundations are not the sole responsibility of schools. Following a roundtable on the school sports action plan, DfE will be exploring how to make it easier for schools to access information on the activities available and help schools and sports governing bodies become more linked up, so pupils can embrace these opportunities. There will then be further work to look at how to signpost schools to other local opportunities such as entrepreneurship programmes, social action and community projects, public speaking and debating workshops. · Sport – which includes competitive sport and other activities, such as running, martial arts, swimming and purposeful recreational activities, such as rock climbing, hiking, orienteering, gym programmes, yoga or learning to ride a bike. · Creativity –this involves all kinds of creative activities, such as coding, arts and crafts, writing, graphic design, film making and music composition. · Performing – activities could include dance, theatre and drama, musical performance, choir, debating or public speaking. · Volunteering & Membership – this includes practical action in the service of others, such as volunteering, getting involved in the #iwill campaign, litter-picking, fundraising, any structured youth programmes or being a member of a uniformed group like Beavers, Brownies, Cubs, Guides, Scouts, Cadets, or taking part in the Duke of Edinburgh award scheme. · World of work – this includes practical experience of the world of work, work experience or entrepreneurship. For primary age children, this may involve opportunities to meet role models from different jobs. If you would like to join the conversation about character and resilience on social media, please use the hashtag #5foundationsforcharacter. Interested in getting an Artsmark for your school? Want to show that your school offers a broad and balanced curriculum? Artsmark is a simple process helping you identify all the great cultural work your school currently does, what extra you would like to be offering, and helps you achieve that ambition. By undertaking that journey your school can get its Artsmark accreditation. If you want to know more contact us at HRAEN, we are always happy to pop in to school and have a chat. We have a local development day coming to Bexhill in March so if you register before then you can be part of a local cohort that will go through the process together. Development days are usually based in Brighton. Brede Primary School seeks to find two artists to support their work on developing writing at greater depth for their students. This project could be ideal for a writer and illustrator team. This is a project funded by the Rother and Rye Educational Improvement Partnership. The project will focus on developing the students’ creative writing alongside their own illustrations leading to written outcomes and artwork for display in school. You would be working with students in year 5 and year 6. It will be expected that the artists will have experience of working with children and ideally will already have a DBS registered with the update service. The work would be completed during the week beginning 10/06/2019 run with both artists present for the full school day for 4 days. The total fee including materials is £1500. A "long overdue" government pledge to boost mental health support for young people has been cautiously welcomed by charities who say it must go further. The NHS Long Term Plan, published by NHS England, promises to help 345,000 more young people through community-based services including schools and colleges. Crisis care, early intervention, and a "continuous care" approach that provides mental health support through to age 25 are also key areas set to benefit from the plan, which recognises that "between the ages of 5-15, one in every nine children has a mental disorder". The long-awaited news comes amid ongoing sector demands for a "parity of esteem" - for mental health to be given the same status as physical wellbeing. Currently just a fraction of the NHS budget goes to child and adolescent mental health services (CAMHS). A DAY OF FREE DANCE WORKSHOPS FOR BOYS ONLY! 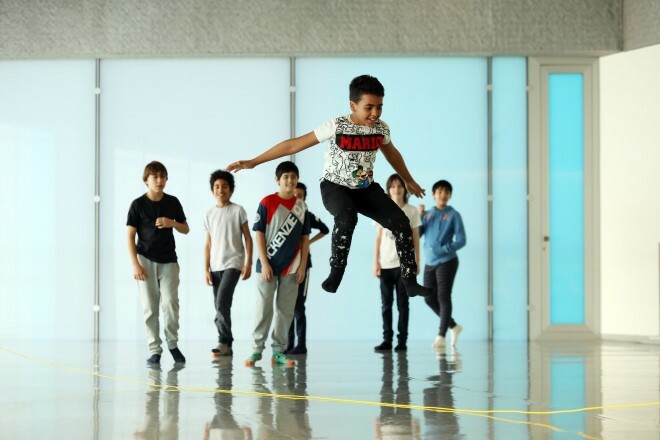 Explode is a fun filled day for boys aged 11–16 in secondary school to come and try dance workshops in a range of styles including contemporary and Urban. This year we are welcoming the Hofesh Shechter Company to Explode, all participants will get to meet and dance with one of their male company dancers. Learn repertoire, ask questions and be inspired by the great line up of male professional dance artists delivering on this day. You will also get to watch exciting performances by male dance artists as part of our end of the day sharing. All the workshops are suitable for beginners, as well as those with dance experience. Book by Wednesday 16 January to avoid disappointment. For more information contact: Emily Robinson, Learning and Participation (Dance) on 020 8305 9419 or email E.Robinson@trinitylaban.ac.uk. 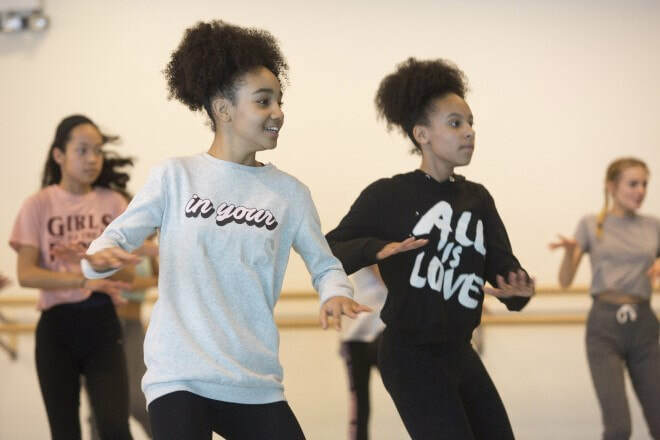 Blaze is a fun filled day for girls aged 11–16 in secondary school to come and try dance workshops in a range of styles including Contemporary, Dance Fusion (Hip Hop/ Contemporary) and Lindy Hop. All dance workshops will be led by female professional dance artists with some accompanied by live musicians. You will also get to watch exciting performances by female dance artists. All the workshops are suitable for beginners, as well as those with dance experience. To book your place online, please visit our website and complete the ‘register your interest’ form. Following this you will be contacted to confirm if we have a space available. We welcome group bookings and ask that you complete one form per participant. Please note we cannot accept applications from those who are not aged between 11–16. Offer of free theatre or media studies workshops by professional directors for secondary schools. The date to enter the ballot for Glyndebourne's Performance for Schools has been extended. Don't miss this opportunity for your students to experience opera at its best. 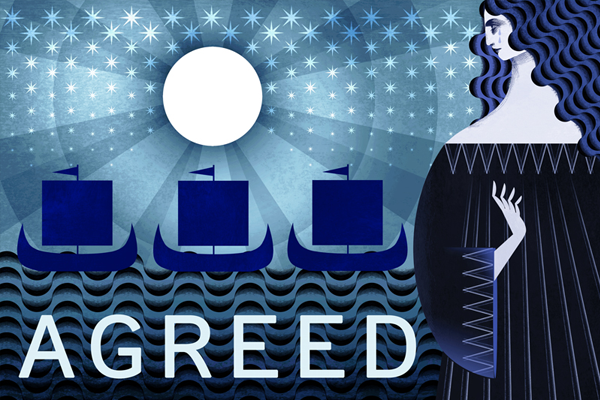 Next year's performance is a brand new opera, written by composer Howard Moody and directed by Simon Iorio. The opera is brought to life by a multi-genre score and includes elements of classical, world and jazz music. The chorus of 80 local auditioned singers are an active, shaping force of the drama. The music is woven together and led by five professional soloists, the Orchestra of the Age of Enlightenment and local young musicians. An online guide and teaching resources for English, Music and Art & Design for Agreed will be available in January for Key Stages 2 - 4. We are pleased to announce that Mandy and I will be working with schools in Sussex, Surrey and Kent on the new Connecting Classrooms through Global Learning Programme. The new programme is managed by the British Council in partnership with the Department for International Development and supports schools internationally to learn about and collaborate on the big issues that shape our world. Connecting Classrooms through Global Learning helps schools make connections locally and globally, encouraging schools in the UK to work together as clusters, or individually, to develop partnerships with schools in other countries and embed global learning in the classroom. One to one partnerships can apply for up to £3000 and Clusters of schools can apply for up to £35,000. As Local Advisors for Kent, Surrey and Sussex we are available to help you with your grant application. This ranges from 1.5 hours if you are an individual school, to half a day if you are applying as a cluster lead school. For current higher education students who have an interest in the creative industries, we are piloting a new Student Ambassador Programme. Our Student Ambassadors will be representatives for the Creative Industries Federation at their universities, helping to spread the word about events and opportunities in the creative industries while making the most of the insight, research, events and networking benefits that the Federation can offer them. Inspired by their feedback, we will be working together on a project demonstrating the career opportunities which available within the creative industries. There are now more than two million jobs in the creative industries, but there still isn't enough general knowledge about the many different creative career options that are out there - this is why we will be working with industry on a Creative Careers programme launching next year. 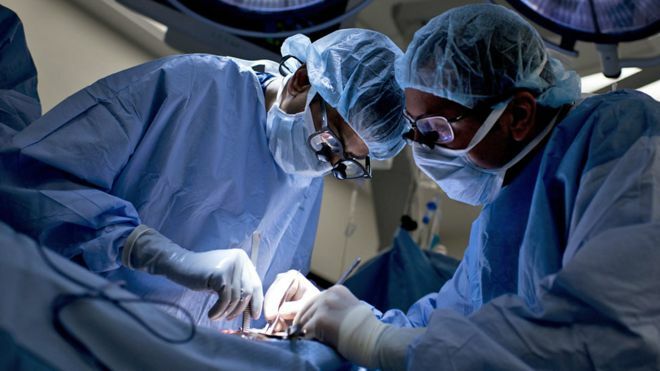 Brilliant article from BBC news, are we loosing manual dexterity? ​To read to full story click here. Survey resultsThe study, commissioned by Arts Council England, was a three-year collaboration between 30 schools, the RSC, Tate, and the Nottingham School of Education. 6,000 responses were gathered from students aged 11-18 and their teachers from areas including London, Canterbury, Liverpool, Hull, Cornwall, Hastings and Doncaster.